Thank you for visiting our website. We hope it will be of interest to you. 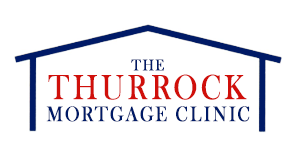 The Thurrock Mortgage Clinic Ltd is fully authorised to conduct mortgage and protection business. Since 1999 we have helped hundreds of people buy their homes or re-organise their finances. We can see you at our offices in, Grays, and Ware. If you prefer we can visit you in your own home. We work with a wide panel of lenders from across the market to find the best mortgage deals available to you. We operate as a 'one stop shop' and can provide you with advice on the protection policies available to you. We will assess your circumstances and help you choose the policies you need. We also can help you with the arrangement of Secured Loans. * The overall cost for comparison is 8.7% APR. The actual rate available will depend on your circumstances. Ask for a personalised illustration. ** Not regulated by the FCA. The Thurrock Mortgage Clinic Ltd is an Appointed Representative of Mortgage Intelligence which is authorised and regulated by the Financial Conduct Authority under number 305330 in respect of mortgage, insurance and consumer credit mediation activities only. We always aim to provide a high quality service to our customers. However, if you encounter any problems and we are unable to resolve them you can take your complaint to an independent Ombudsman. Our advice is covered under the Financial Ombudsman Service ( www.http://www.financial-ombudsman.org.uk/consumer/complaints.htm). You may be able to submit a claim through the EU Online Dispute Resolution Platform https://webgate.ec.europa.eu/odr/main/?event=main.home.show if you live outside the United Kingdom or if you prefer not to deal directly with the Financial Ombudsman Service.